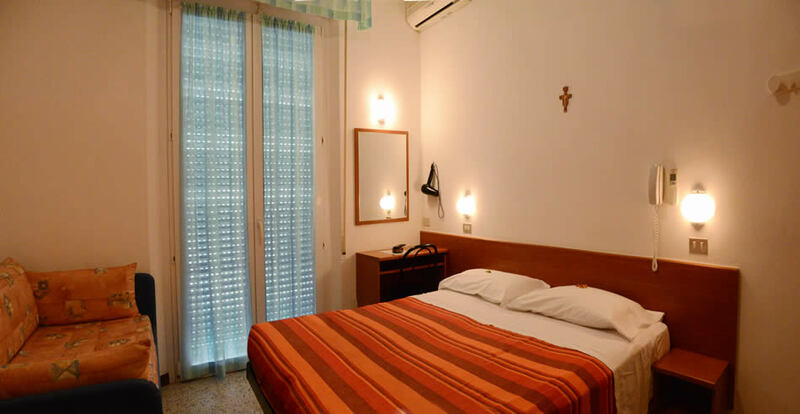 All rooms are equipped with WC and Shower (Shower cubicle on request..), telephone with programmable alarm clock, Wireless Internet, Air Conditioning, Safe and Free TV. Balcony too on request. Allowed small and medium size dogs. The traditional home-made food is prepared by the owners, who personally work in the kitchen more than 50 years now,to offer to the guests every day a different menu on a double-choise-base, where never is to be missed a succulent dish of fish, prepared according to the old recipes. The Kitchen is always open,from the very first day, which then allows the guests to book either the "Half Board" or the "Full Board" even in the low season. 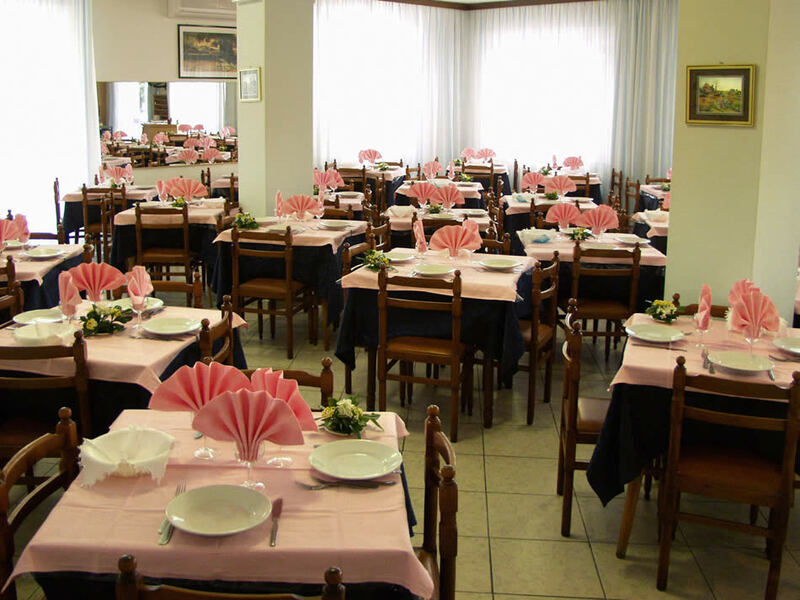 To accompany the meals, a buffet with cooked and raw vegetables, by lunch and dinner. For the most demanding guests will be always possible to order something different,according to the availability. 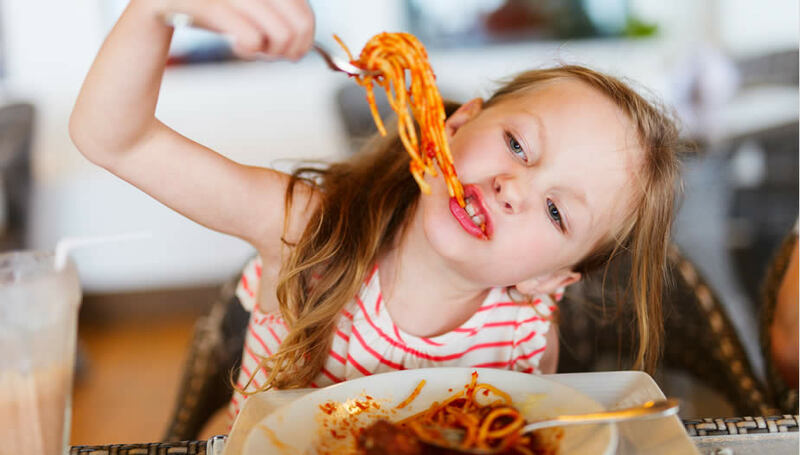 For our little guests, it will be possible to have special menus on demand of the parents. 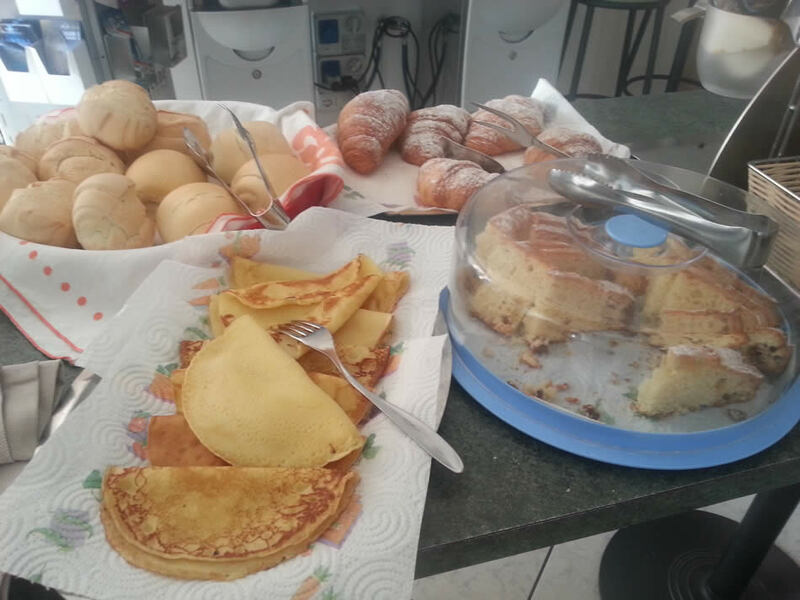 It's breakfast time, when a well furnished buffet will be waiting for the guests offering homemade cakes,Yogourts, Ham, Cheese, and what so ever needed to get a good kick for the awaiting day. 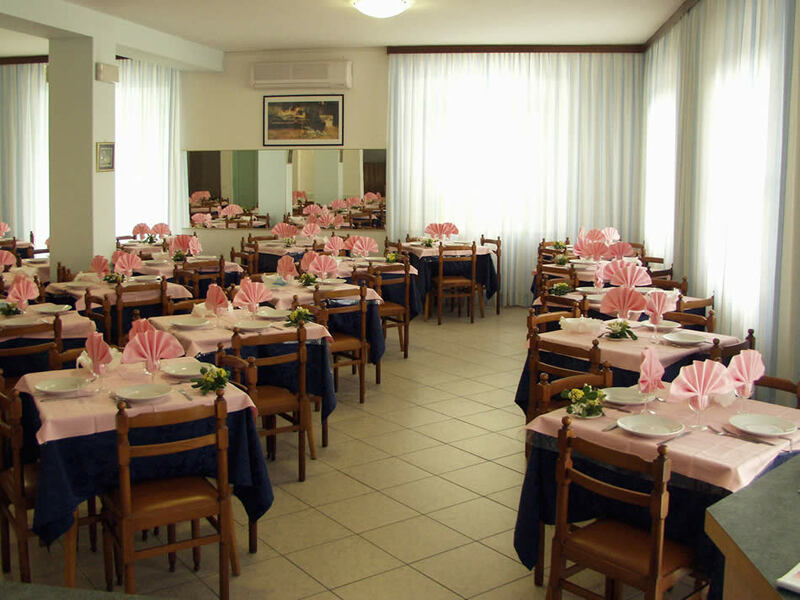 Moreover a "All Inclusive" Formula at unmatched prices, allows our guests to get the “beverages” by the meals and the “Beach-service”(Sunmbrellas and deckchairs on one of the most 'beautiful and well equipped beaches in Rimini). A Parking-lot, guarded 24 hours a day,just 10 minute walk through a public park, at a cost of 5Euro per day for a car.